The 2019 edition of Best Lawyers in America will again include William G. Blake, in the field of Eminent Domain and Condemnation Lawyers. 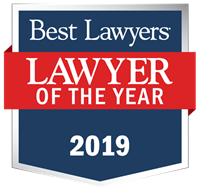 The publication is the result of millions of peer evaluations, listing the nation’s top attorneys in key practice areas. Bill is a graduate of the University of Nebraska College of law. He practices in real estate and real estate litigation through the State of Nebraska, focusing on eminent domain and condemnation in all state courts.